At Oottru, we are stern believers in “the best UX is often the most simplistic”. In today’s market, the competition is cut-throat to say the least, and without a robust E-commerce solution, any business will find that they are fighting a losing battle. Furthermore, just adding an E-commerce site to your artillery, is not going to be sufficient. What you need is a dynamic and scalable solution that performs well even under load, and involves minimal efforts to maintain and upgrade. We understand that your business needs a state-of-the-art website to help you shake hands with digital innovation. A well-designed E-commerce website, will not only save your business time and money, but is also highly scalable and can boost sales exponentially. Being able to grow and expand on demand is intrinsically possible with the right website. Our team of E-commerce website development specialists are rockstar developers that can custom build websites to complement your business, your mission and your vision. We have an exclusive team concerned with Magneto. 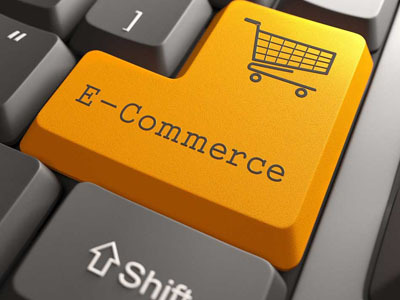 We can build you your dream E-commerce website for your business using Magneto and fine tuning it to really optimize performance and scalability. If you need something simple and elegant, we can deliver just the right thing and on the other end of the spectrum, if you are looking for a complex, robust website with numerous use cases, we have the expertise to make that happen as well! With AWS we can help you build a new infrastructure, or migrate, scale up and maintain existing infrastructure. Our team continually strive to optimize the usage and save cost for every infrastructure built or maintained by us. We provide you with dedicated Dev Ops Engineers to build, deploy and maintain a highly scalable and secure cloud. We constantly learn, improve and thoroughly familiarize ourselves with the latest updates in microservices architecture and work with you synergistically to provide the release train. AWS and Dev Ops, together, constitute our major offering for Product Engineering. Combined with the latest technologies, we can help you build scalable, cost effective and highly optimized products that have quick turnaround times and is pocket-friendly in terms of cost. Our development efforts are validated with state-of-the-art test automation at all critical stages. This allows for continuous integration and cyclic automation. We leverage these technologies and bring you dynamic, scalable, inexpensive product release trains. This way, we build-test-deploy in a timely, efficient and robust manner.